If you asked most people what the leading cause of death for women in the U.S. is, you’d probably get the wrong answer. The right answer? Heart disease. In fact 90% of women have one or more risk factors for heart disease. Surveys have unfortunately found that some women’s primary care doctors don’t discuss their risk and the symptoms they may experience if they have heart disease, which means their conditions go undiagnosed and untreated until they have a heart attack or stroke. But knowing the risk factors, symptoms, and proactive steps you can take to lower your risk can help you protect your heart. What increases a woman’s risk of heart disease? Family history of heart disease earlier in life: If your father or brother was diagnosed with heart disease or had a heart attack before age 55, you’re at a higher risk. The same is true if your mother or sister was diagnosed or had a heart attack before age 65. Race: African-American, Hispanic, and Native American women are at greater risk of developing heart disease than Caucasian women. Age: Until menopause, estrogen protects a woman’s heart against the buildup of plaque in the arteries that can cause heart disease. A woman’s risk increases after menopause as no more estrogen is produced by the ovaries. In addition, as both women and men age, their arteries become stiffer and thicker, increasing heart disease risk. 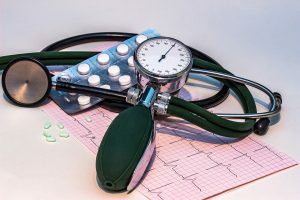 High blood pressure, cholesterol, triglycerides, and blood sugar: Depending on your family and personal health history, your doctor should order appropriate screenings for these common heart disease risk factors. If you’re diagnosed with any of these conditions, follow your doctor’s recommendations for lifestyle changes and medications to gain control of these risk factors. Being overweight and/or inactive: The more overweight you are, the higher your risk of developing heart disease. Choose a diet that includes more fruits, vegetables, whole grains, healthy fats, and lean protein to help you reach and maintain a healthy weight. Studies have found that being inactive raises your risk of heart disease even when you don’t have any other risk factors, so aim for 30 minutes of moderate exercise most days of the week. Smoking: Approximately half of women’s heart attacks are linked to smoking, so talk to your doctor about a smoking cessation program. Sleep apnea: If you snore most nights, you may have sleep apnea. Your doctor can arrange a sleep study to help diagnose your condition and will recommend appropriate treatment options. Stress and depression: Managing stress and seeking treatment for depression can lower your risk of heart disease. To take control of your heart health, know your family history, make healthy lifestyle choices, and talk with your doctor and a personal health advisor about building a personalized plan to lower your risk.